Okay, almost wordless. . . watch out for babies this spring! This adorable little guy was found and brought into the shelter after his mama and siblings were hit by a car. It’s not uncommon to find baby animals in the spring and early summer, but remember – just because they are alone doesn’t mean they need your help. Be sure to do your research before you go scooping up a little critter that might just be waiting for moms return! Luckily for this little guy we have local wildlife rehabbers that will nurse him back to health until he is big enough to released back into the wild. 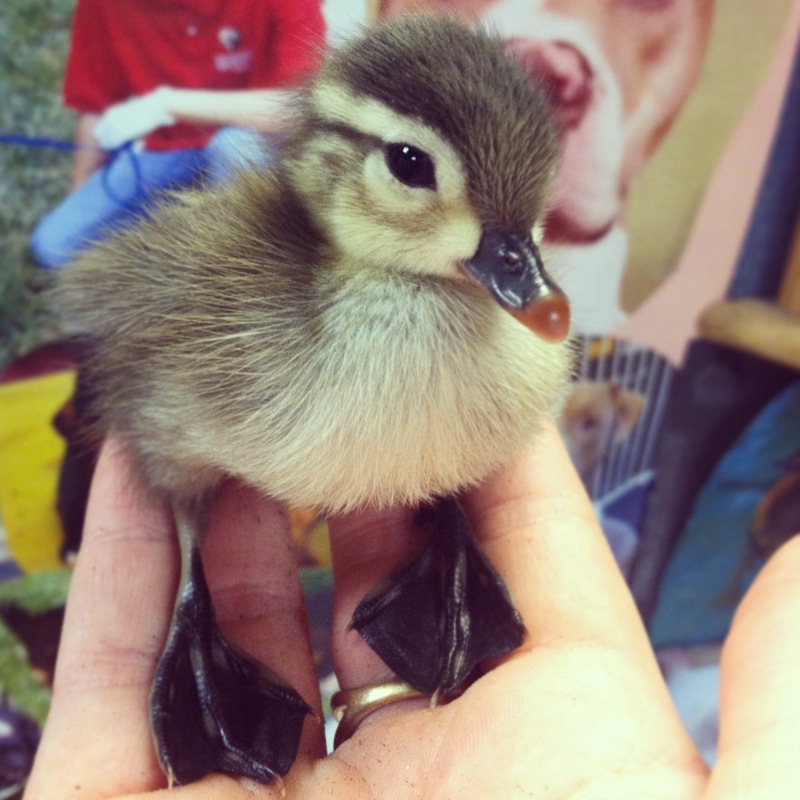 This entry was posted in Uncategorized and tagged baby wildlife, duck, duckling, orphaned wildlife, shelter work, spring, what to do if you find baby wildlife, wildlife, wildlife rehab. Bookmark the permalink. How sad that he is an orphan so young, but thank Dog there are those who will help him.